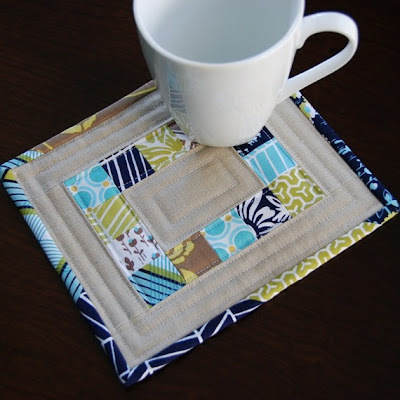 I’ve come across a couple of mug rugs online lately. They’re like a mini quilt or a big coaster. Great for practising patchwork and quilting techniques on a small scale. 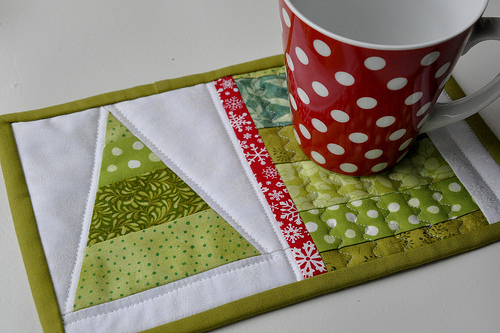 Definitely adding a mug rug to my “to do” list! I've always been fond of the ones filled with buckwheat hulls or rice along with fragrant herbs or essential oils–the heat from the cup activates the scent! These look great. What a good idea. 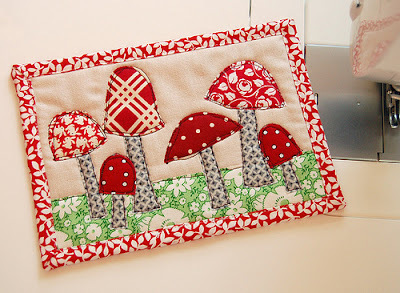 I think I'll try to make some with my scrap fabric.